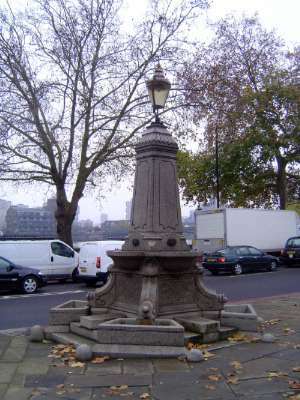 A fountain at Cheyne walk. Just try to get a picture of it without traffic. And who is recalled by the inscription at the base?